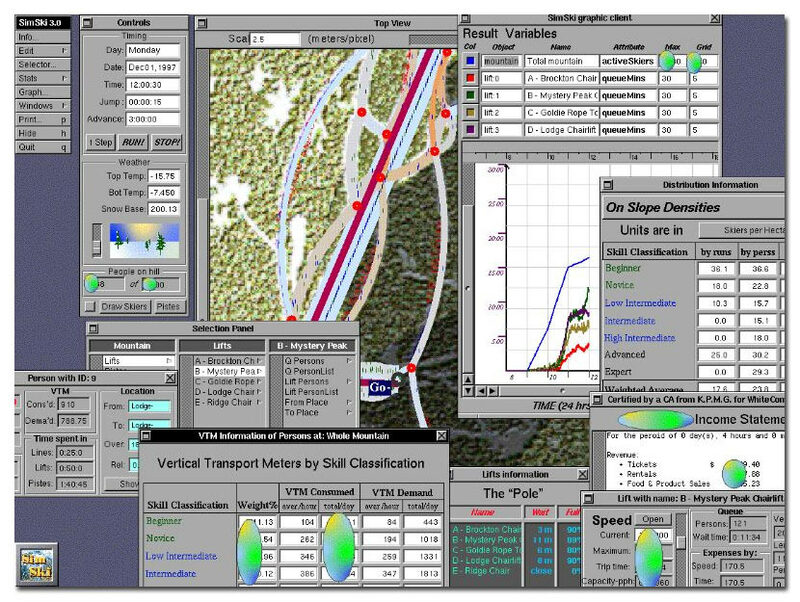 SimSki is a Visual Interactive Simulation, which was developed using object-oriented methodologies to model the ski hill operations of a local ski area, Mount Seymour, North Vancouver, British Columbia. Different scenarios were modeled to determine optimal future enhancements or expansions to the ski hill operations. 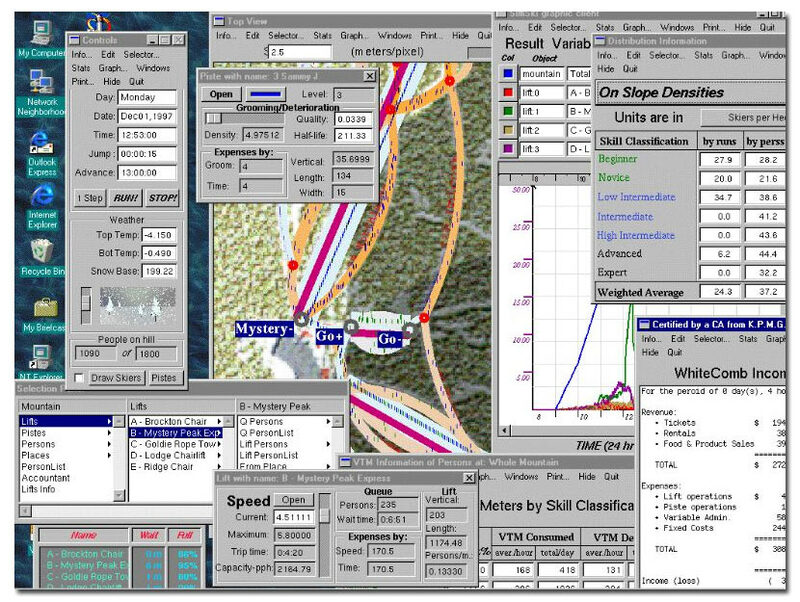 Perform detailed analysis on a ski hill before you build it! Model the impact of expanded lift and run capacities on lift queue bottlenecks and run crowding. 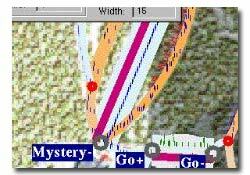 Observe lift and run activity using a realistic "birds-eye-view" which can zoom down to the level of individual skiers. Monitor Key Success factors in tabular or graphical form, such as: skier densities, lift waiting times, and vertical transport meters consumed. 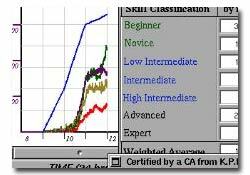 Examine the effects of changing assumptions during the simulation run. Justify expansion plans by comparing alternative combinations of lifts and runs to ensure the highest level of customer satisfaction. For developers, SimSki is an intuitive planning tool for future ski hill development or expansion plans. For ski resort operators, SimSki can assist with general operations, by determining and assessing potential "problem" zones. The concepts applied, here, can also be easily transformed to traffic, public transportation, or shop floor operations planning; basically, any situation where capacities need to be balanced. For more information on SimSki or to inquire about Visual Interactive Simulations for your type of business operations, contact .